Value for Money : The El Oso series represents one of the most expensive sets of bikes on the market, but their price point is ideal considering the high-end brands and features used to make their product as great as it is. Features : It contains new, up to date, well made and very intriguing features and specifications, that clearly took lots of thought and decision making. Ease of Use : The bike is generally not ideal for speed, as it is a fat bike, but otherwise, this bike is very easy to use, and its Kenda tires provide traction and support like no other. Quality of Build : This product is very well made and was clearly well thought out and specified. It boats features that make it more adaptable and durable, such as its aluminum frame which withstands all types of weather conditions. ​Is the Diamondback El Oso right for you? ​What makes the El Oso so great? 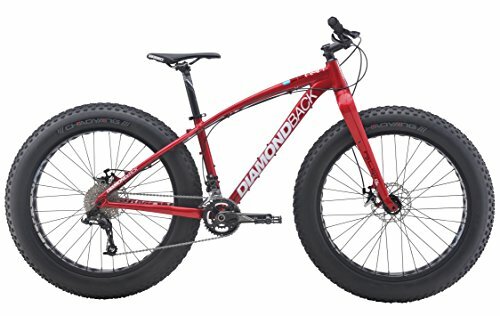 The Diamondback El Oso bike is a fairly new but highly anticipated fat tire bike,and with its recent but very significant price drop of its most expensive model. ​Many are jumping on this hot new bike and price. Fat bikes have become more and more popular over the past decades, as persons began to understand that they were made to withstand dangerous weather conditions, instead of just being a novelty. With the right knowledge and know how, fat bikes can be very beneficial to the average cyclist, and are generally great choices whether on a trail or if subjected to city life. They tend to be very flexible, and offer more attractive options and advantages than the average bike, making them ideal for many cyclists. 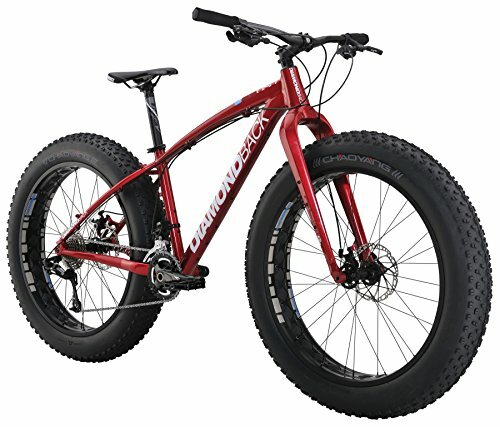 Specifically, the Diamondback El Oso is revered for its strength as a fat bike, and is a worthy option in the line of Diamondback’s fat bike line. The El Oso series by Diamondback boasts three different sizes; the El Oso Nino 20 which is its smallest and cheapest option made for kids, the El Oso Uno which is its medium sized option, and the El Oso Dos, its biggest and most expensive option, made ideally for both professional and casual cyclists. All bikes in this line boast a lightweight but sturdy aluminum frame made with hydroformed tubing, which allows the cyclist to go faster because of the easability of the bike. This line also promises a sleek but well equipped bicycle frame, well built mechanical disc brakes and an overall fun bike to ride in any circumstance or weather condition. Lauded as one of the higher end models of bikes in the cycling world, the El Oso line promises comfort and peace of mind, all in a sleek but well equipped aluminum framed bike. While this fat bike is designed to help increase speed, it is not normally ideal for professional cyclists as fat bikes are more suited to adverse weather conditions instead of going as fast as possible. This bike, however, is the perfect fit for any cyclist who travels through difficult trails and terrains, as well as those traveling on clean, paved roads in the city. While beginners are welcome to give it a try, the El Oso is generally more ideal for more experienced riders who know what they want and how to handle this bike. It is naturally bigger than most bikes as its Spanish name suggests, (El Oso means the Bear), which could make it harder to handle for someone who is new to cycling, but for the seasoned cyclist, this bike may just be the perfect fit. The price point is a major deterrent for many as fat tire bikes generally average anywhere from over $400 to $1000, but the El Oso goes all the way up to $1600 making it too expensive and way out of reach for a majority of cyclists. The price, however, compensates for the beauty and extensive features of this bike, making it a leader in its field and a worthy competitor despite its rather expensive pricing. With tires that are able to withstand a variety of conditions and provide excellent traction, this bike has proved itself as a force to be reckoned with in the cycling world. ​This bike comes partially assembled, but in around 39 minutes at most, this bike can be easily strung together by attaching the stem to the handlebar assembly and installing the front wheel. When fully assembled, the bike weighs 37.5 pounds. Included with the parts of the bike was also a torque wrench to help with the assembly process, which is a great free gift if you ask me, taking the stress and struggle out of tightening the fasteners on the bike. The box also includes an owner’s manual that explains everything you need to know and care for your bike, and critical features like the Shimano brakes, derailleurs and shifters all perfectly adjusted. A worthy mention is that this bike did not come with anything that specified how to adjust the suspension Bluto fork by Sram, which could easily cause confusion and frustration. Apart from the one major con in assembly, the box basically contained everything you need to both assemble and adjust your bike to its required capabilities. Its ideal and well thought of gifts were also quite impressive and an added benefit for anyone getting this bike. Both the torque wrench and the platform pedals with removable pins were investments made by Diamondback that may be small in manufacturing but a huge pro to their customer base. The bike frame also comes with stickers that are best left on, as they add variety to the bike and help to shape the resale value. The box also comes with many beneficial extras, including an extra derailleur hanger, diamondback mudguard, a Diamondback shock pump and tubeless valves. The only issue in this box is the saddle of this bike, which makes it very uncomfortable to sit on when riding. Ideally, one would need to get a new saddle before taking this bike out for a spin. The El Oso boasts a variety of features and specifications that make it the ideal fat tire bike for your daily exploits. Its frame is made from El Oso’s 6061-T6 Double Butted Aluminum with hydroformed tubes, and a 1.5 inch tapered headtube, It normally fits sat tires up to 26x5 inches. Your bike stays equipped and ready to take on every challenge with its smooth shifting Shimano 2x10 drivetrain, and its 100mm travel RockShox fork. ​Its Kenda tires are sure to turn heads wherever you go with their unnatural fat demeanor, and may cause some looks of intrigue, annoyance and maybe a little ridicule to come your way, but if your bike is ideal for your lifestyle and circumstances, who really cares what others think? The Rockshox Fork one is a $700 value, which may be one of the reasons why the bike is so expensive. It is made with high-end parts and features that come together to make the perfect but most ideal bike on the market. It has well known and strong brands at its front and rear derailleurs. These are are the Shimano M6020 and the Shimano Deore M6000 shadow plus respectively. Overall, this bike contains high end and well-known products that factor into its well made and highly effective fat tire bike. The price point can be easily understood when you take a look at the features and specifications of this bike. Need More Information On Diamondback Bikes? Conclusively, the El Oso is a great bike for experienced and well-equipped riders who know how to handle its weight. Despite branding itself as a speed machine, the El Oso travels at the average speed of any fat bike but is admittedly a little less heavy to carry around than others. Their weather resistant specifications to their outer layer make them ideal for rough and rocky terrains and will be useful whether in rain, snow or sunshine. It is quite a pricey bike, which is one of the reasons it is not ideal for beginners, but with high-end specifications and arts coming together to make this bike what it is we can understand why. ​The El Oso is perfect for many and is sure to last you a great number of years as long as it is properly maintained and cared for, and the special gifts in your box will make you happy you got this bike. Just remember that if you ever want to sit while riding, you will need a new saddle. Overall, this bike is a pretty good bet for cyclists worldwide.